In the short-term, much of Facebook’s user growth will come from international markets. Unfortunately, that’s not where the money is. Based on my analysis of Facebook’s S-1, Facebook generated $13.99 in revenue for each U.S. user and $2.81 for foreign users. 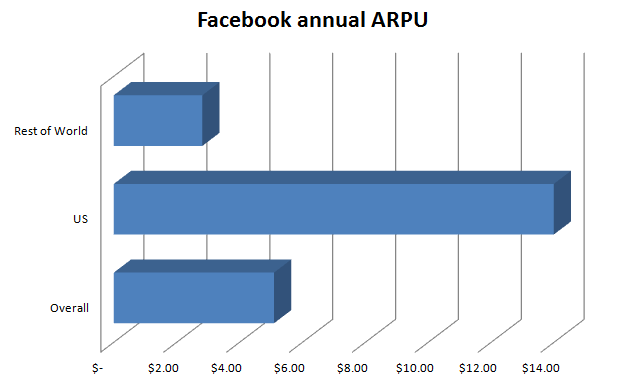 I expect that some of Facebook’s highest growth markets, including India and Brazil, will have ARPUs significantly lower than even the $2.81 figure. In the long-term, this is the right move by Facebook. But it will cause short-term margin compression.